The Artesia Library is a county-operated public library located at 18801 Elaine Avenue, on the Artesia Park grounds. 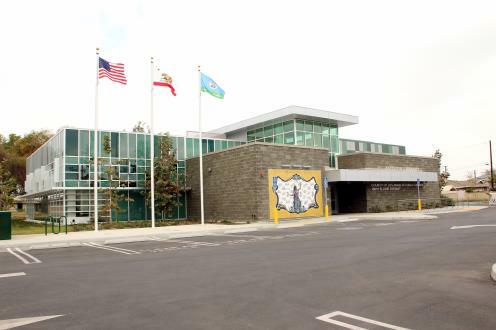 As a result of a multi-million dollar community investment program solely dedicated to improving and rebuilding libraries in the fourth District of Los Angeles County, the Artesia Library was made possible through “Operation Libraries”. The architecturally stunning building opened December 8, 2017. The Artesia Library is a LEED Certified green building that offers library staff and volunteers plenty of space to provide programs to the community. The library’s early childhood and family areas provide a great space for all families, while students from schools across the community are able to take advantage of a quiet homework center. Additional features of the building include a 100-seat community meeting room, laptop vending machines, teen area, Wi-Fi, and public access computers. For a complete list of activities, please visit the library’s web page.